Fit Girl Daily: Skora Running! 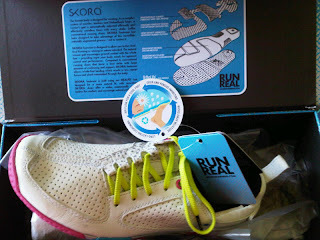 I am so excited to introduce Skora Running to you guys! After attending the DHP running clinic a while back I really started to understand the importance of not depending on a shoe to do the work for me. 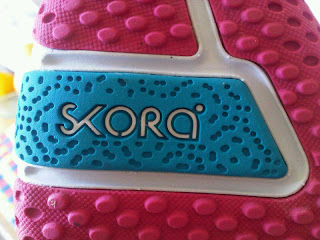 Skora emphasizes the importance of running biomechanically correct and makes shoes that allow runners to do so most naturally. They are not trying to sell you a shoe with unnecessary bells and whistles; their products are quality, simple and effective at what they do. Their philosophy is to "Run Real" and the science behind their shoes reflect just that. Founder and CEO David Sypniewski, a long time runner, set out to create a shoe that would lessen the likelihood of injury by allowing the foot to run more naturally. 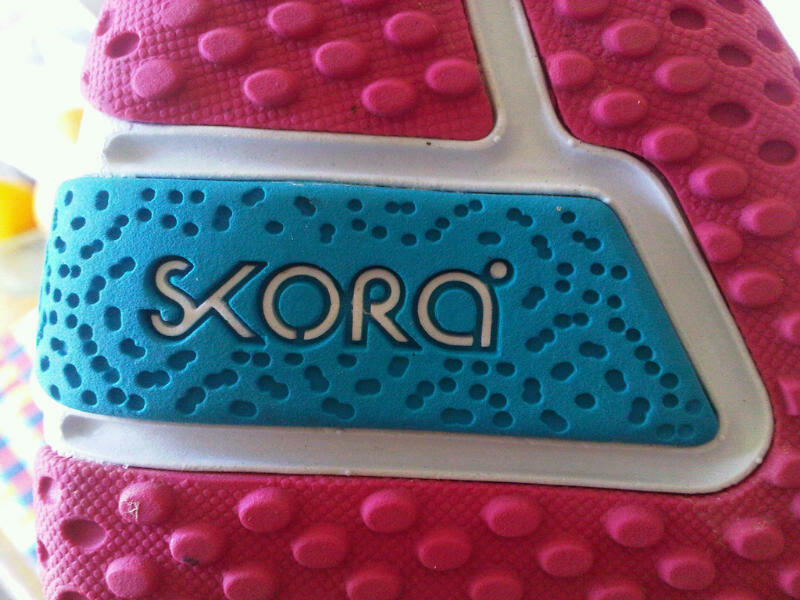 Skora prides themselves on the fact that their shoes are made by runners, for runners. Although Skora is still relatively new, they've already made Complex.com's list of Top 25 Independent Sneaker Brands of 2012! I have a feeling this is only the beginning we are seeing from them. Skora is all about Running Real. What does that mean exactly? 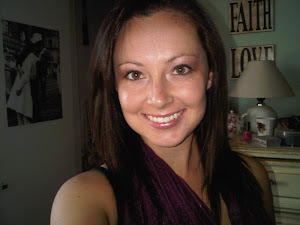 Well, if you check out RunReal.com Sypniewski explains what running real is really about. 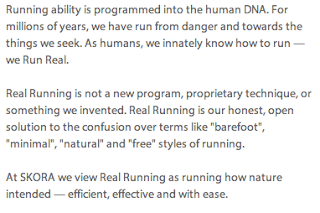 In his letter to both runners and the running industry, Sypniewski proposes the argument that the running industry should not only run real, but be real with consumers. From the letter: "We can differentiate in design, specifications, materials and features. We can argue if 8mm of cushioning is better than 9mm or 6.5oz is better than 7.2oz. But, for the benefit of all runners, let's agree on something -- let's use labels to inform, educate and communicate rather than obfuscate and confuse." He continues, "How can we expect the consumer not to be confused when some brands tell them the "best" shoe for them is one with maximum cushioning and support, and yet offer another shoe that proudly proclaims that a "barefoot feel" is "best"? Let's end the hypocrisy, take a stand and show respect for runners. Healthy running is more than trend or the latest marketing bandwagon to join"
RunReal.com also has straight forward advice for all runners on how to correctly run real. In my honest opinion, Skora is not about a gimmick sales pitch but rather a calling for straight forward communication and quality products for the benefit of all runners. It's not enough for a brand to just provide a shoe anymore; runners need to be equipped with knowledge. It's time to debunk the junk and focus on healthy running. Click here to find out more information on both the FORM and BASE models. They are also very interactive on their Facebook page which I really appreciate. I think it shows a company's true character in how much support and interaction they have with customers. I don't think I've ever seen a question from a potential customer unanswered. Here's a sneak peek at their 2013 line! They are expanding their line with the PHASE and CORE models. I LOVE how they are sticking with bright colors. Keep an eye out for these shoes February, 2013. Guess who will be posting a review on the Women's FORM soon! I cannot wait to share my shoe review with you guys! I will post that this Friday, September 21. If you would like more information on Skora you can visit their website here. They also have a Facebook page and twitter account. That looks very interesting! It definitely makes one think about shoes and what they're doing to our feet.